Project prioritisation is vital for any organisation in order to achieve its goals and targets. Selecting the wrong projects, which don’t provide the required return to its investment can have a significant impact to the bottom line. Therefore, it is crucial to spend time on the prioritisation and selection of projects and proposals in order to find the ‘right’ projects for the organisation. Project prioritisation can be performed in many different ways. Below, I’ve outlined a method I’ve used, while working in the Financial Services Industry. The project prioritisation process itself can be done in a couple of days – or, if the organisation is of a larger size, can take up weeks – trying to slice and dice the project portfolio within a given budget. I had cases, where the project budget was $40m but the proposed project proposals in the pipeline were worth $90m. So, how to decide, which projects are more important than others? 1. Why should project proposals being prioritised? I would suggest prioritising any project proposal or activities that require budget and resources. You could narrow it down and suggest any activity that required more than x days of work or cost more than $ x. Again, it depends on the size of the organisation. 3. When or how often should a project prioritisation exercise be performed? Many organisations perform a major prioritisation exercise once a year, which is aligned to their budgeting cycle. Once the Leadership / Exec team has decided on how much they are willing to spend on projects, the project proposal prioritisation can go ahead. Minor project prioritisation sessions can be performed quarterly or twice a year in order to slot in new, upcoming projects which were unknown at the time. 4. Who does the prioritisation? The Leadership / Exec team makes a decision on the proposed recommendation. Please note, that once the project portfolio has been approved, each project still needs to provide a business case in order to access funding’s. 5. How to prioritise project proposals? Below, I’ve outlined the process I use in order to prioritise project proposals. Please note, that this might not work in every organisation. But it can be used as a guideline in order to understand how the process works. Generally, there is a mixture of criteria or drivers an organisation would choose in order to perform the prioritisation exercise. You will notice that the values in the categories are very broad and still high level. This is because most of the project proposal data is at this stage unknown. Once the driver or criteria have been established and agreed on, a project proposal template needs to be setup to capture the project proposal data for the selected criteria. The form itself should be no longer than 2 pages, outlining the project proposal including the agreed criteria. Typically, anyone in a company can submit a proposal for a project, but the proposal needs to be approved by a Manager first, before it can be submitted to the PMO / Portfolio Manager. Once the proposals have been submitted, the proposals will be collected in a central place, which later becomes the project proposal inventory. This step can be performed with MS Excel or SharePoint. Once all project proposals have been submitted and registered, the project proposal data with the evaluation criteria will be entered in the prioritisation table (see below). Based on the entered values a project portfolio rank will be calculated. For this Financial Service company the ranking criteria is based on: contribution to strategy, cost savings, payback period, resource requirements (people and skills) and complexity (e.g. new or known technology and number of systems to interface or change to organisation). So overall, project proposal 1 seems not very good. The overall rank for this proposal is 25, based on the values of the criteria’s (1-4 points) and their weighting (10% to 25%). in this case, the projects we would like to select would be in the top right hand corner, which have the highest benefits and the lowest complexity. In our example, these would be the project proposals: 4, 5, 3 and 8. These proposals would be the first selection of our project proposals pool. The next step would be to analyse these project proposals further based on: dependencies, compliance, impact on existing projects and other possible environmental factors. Several discussions with Business Sponsors need to take place in order to get down to the final proposal selection within the allocated budget. Further tweaking is required before a list with final recommendations can be developed and presented to the Leadership / Exec team. Once the list has been approved, the PMO will be responsible for it’s execution. I hope this process makes sense. As mentioned earlier, this process could take up a couple of days up to weeks in order to get to the final candidates; it really depends on the organisation. If you have further comments or questions in regards to project prioritisation, please leave a comment below and I will get back to you. Next StoryHow to validate that a Strategic Initiative is still aligned? I’m setting up small PMO in my company, a social enterprise that has spun out of NHS and delivers community health services. So your website and articles are very intersting. I wanted to ask about the scoring in the proirization matrix. I can’t see how you have used the % weightings. Your first example scores 1 point out of 4 for each catagory and ends up with 25. I would have muplitpied score by weighting? hi, can you send me also your excel sheet? your artuicle is very interesting. Can you please send me the spreadsheet as well? Thank you so much for sharing your experience and they are really interesting and helpful. I just need a small favor through sending me the excel spreadsheet that shows the formula used while calculating the weighted ratings for each project. 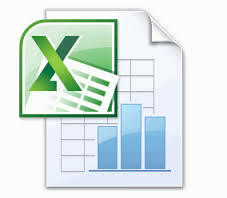 Many thanks for sharing your thoughts /experience with other really appreciate lf you don’t mind to send me excel sheet that has the calculation formula. Hey Sandra, thanks for a great article. I would love to get a hold of the spreadsheet as well if you don’t mind sharing. Very valuable and thoughtful article. It is proposed, you may want to include governance & compliance criteria while arriving the weightage for each project during prioritization. This will provide complete information and help the C level management to decide. You may share your excel files on prioritization. I’ve included the xls file for download in the blog post. Hope this helps. A good article. However, even with the best tools and visuals in place, either via office tools or MS Project Online it is key to ensure stakeholders at the highest level possible have bought into the project selection and prioritisation from the portfolio, as I have often seen C-level stakeholders try to slot an initiative through the back door. May you please send me the excel spreadsheet you are using for prioritisation of project. I am current setting up PMO and developing terms of reference for the PMO.